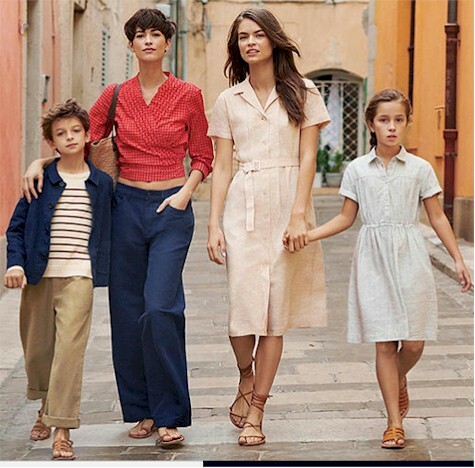 Tanga has got this 10-count collection of Sally Hansen Xtreme Wear Colors Nail Polish Set in assorted colors for $16.99, but enter promo code DAILYCHEAPSKATE at checkout, and that price drops by $3.00 to $13.99 with free shipping ($1.40 per bottle!!). Quantity limit of 10 sets per account. 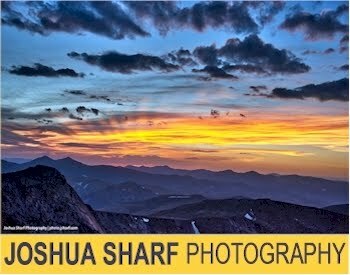 HIGH VALUE DEAL: $10.00 off and free shipping on 15 lb. or 20 lb. weighted blanket! I'm so excited about this deal! And here's a secret: this blanket is the same one that is selling like crazy in a very popular department store (I'm not allowed to tell you which one) for more than twice the price. This is a killer deal! PRODUCT DETAILS: Use your weighted blanket wherever you want to relax. On the couch while watching a movie, or on a comfy chair while you read your favorite book. 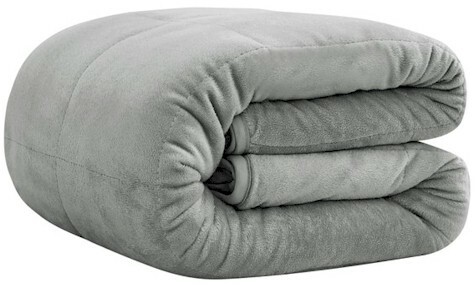 SUPER SOFT WASHABLE COVER: Included is a washable super soft minky cover. We promise it will be one of the softest things you will ever feel, almost as smooth as silk & fluffy! It will feel like someone is giving you a big hug! INCREDIBLY EASY CARE: Cleaning your weighted blanket requires as little effort as taking care of any other duvet. It comes out just as mink-soft and cuddly as it went in, wash after wash. Soft & plush faux mink. Heavyweight fabric, Machine wash. This year, Purim falls out on the evening of 3/21/19, which means that we are now officially just a month out from Purim! As with any holiday, one of the best ways to save money and hair-tearing-out on Purim is to buy what you need for it in advance and in a relaxed, unfrenzied way. Here is my annual Purim deal roundup that I post each year, with lots of new deals and fresh items. 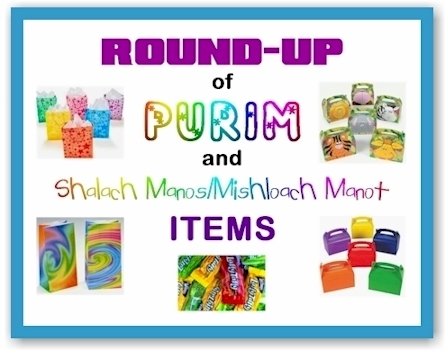 Amazon is just swimming in great deals on supplies for Purim and for Mishloach Manot AKA Shalach Manos AKA Purim Packages. (I know some of you can do better at local stores, but we can't all live next to an Amazing Savings, LOL.) Costumes deals will be posted separately. Please make sure you check the dimensions of the product that you are ordering so that there will be no surprises when it arrives. Pictures can be deceptive; look at measurements. Some of these bags are meant to hold loose candy/food inside of larger shalach manos containers, so those bags will be much smaller. In my experience, prices tend to go up rather than down on these containers and bags, the closer we get to warmer weather, so do try to shop early. 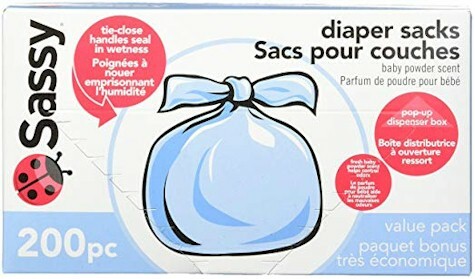 Amazon has got this 200-count Sassy Diaper Sacks for $4.41, the lowest recorded Amazon price on this item. 4.4 out of 5 stars over 1,823 customer reviews. 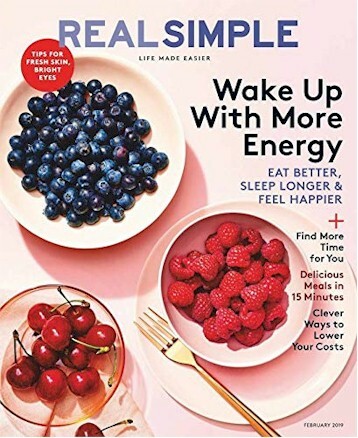 Amazon has also got a great deal on a 1-year subscription to Real Simple for $5.00 for one year (that's 12 issues for 42 cents per issue). Both of these do auto-renew, but no worries, here's what you do to fix that: right after you subscribe, under your Amazon account, click on the Manage Magazine Subscriptions link, find Reader's Digest or Real Simple and deselect the auto-renewal option. Voila, no more auto-renewal! LOWEST PRICE: 160-piece set of Stick N Stack Magnetic Building tiles for $49.99 on Amazon. WOW! 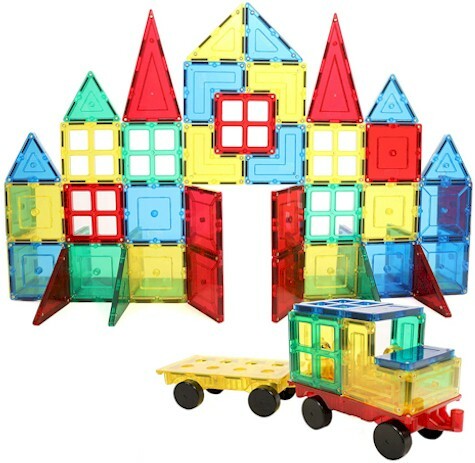 Includes windows, 2 wheel bases and more and is fully compatible with Magna Tiles and other brands. No quantity limits. 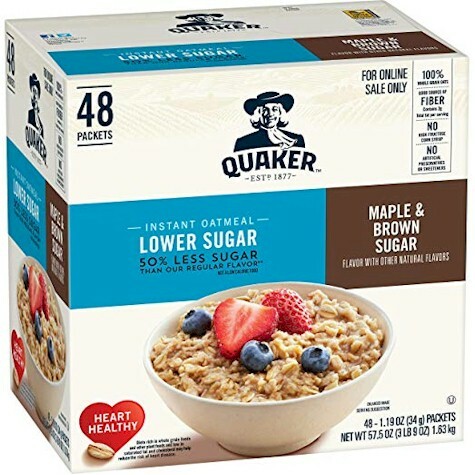 Amazon has got this 48-packet box of Quaker Lower-Sugar Maple & Brown Sugar Instant Oatmeal for as low as $7.68 (15 cents per packet) when you stack a high-discount coupon with Subscribe & Save discounts. 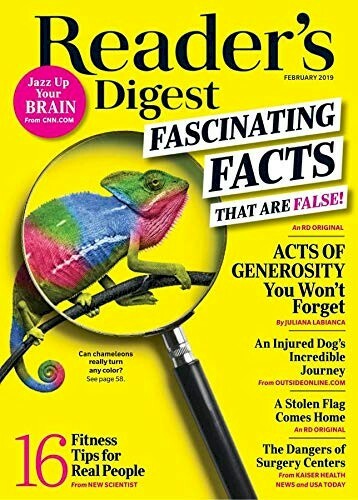 $10.04 - $2.36 coupon = $7.68 (15 cents per packet) with the 15% Subscribe & Save discount (if you can take delivery of 5 or more active subscriptions in one month). HIGH-VALUE: CliniqueFit 4-piece set for $17.00 with free shipping from Nordstrom. Actual value of contents = $53.50 if purchased separately. 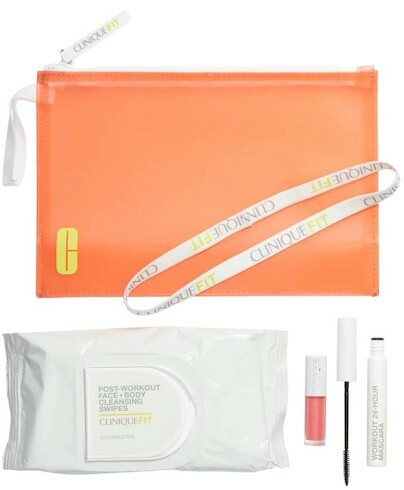 Nordstrom has got this bundled CliniqueFIT Set for only $17.00 with free shipping. This is a VERY high-value bundle, worth $53.50 for the contents alone, plus the value of the pouch. All in a Clinique Travel Pouch. ADJUSTABLE STAINLESS STEEL SLICING DISC: Easily adjust from thin to thick slicing simply by turning the knob on the slicing disc. 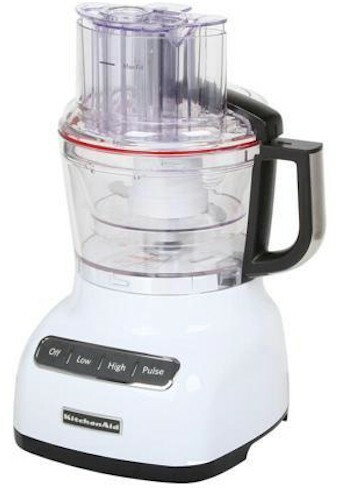 KFP0922WH THREE SPEEDS FOR BETTER RESULTS: The uniquely designed blades and three speeds provide precise processing to your task. LOW speed works best for soft foods like tomatoes, mushrooms, or kiwi. HIGH speed works best for foods like potatoes or carrots, or when shredding cheese. PULSE allows you total control of the task. KFP0922WH 3-IN-1 ULTRA WIDE MOUTH FEED TUBE: The 3-in-1 Ultra Wide Mouth Feed Tube adjusts to three different openings for processing foods of varying diameters or lengths. KFP0922WH 3-CUP (.07L) BPA-FREE MINI BOWL AND BLADE: The 3-cup mini bowl provides the convenience of a mini-chopper. Just for small jobs, the mini bowl fits into the 9-cup work bowl and allows small batches to be processed, such as mincing herbs, nuts, garlic, breadcrumbs, or baby food. KFP0922WH REVERSIBLE SHREDDING DISC: By simply reversing the shredding disc, you can choose between a fine to coarse shred. KFP0922WH MULTI-PURPOSE BLADE AND DOUGH BLADE: The multi-purpose blade, paired with Low, High, and Pulse speeds, allows you complete control and precision while preparing food. The dough blade provides even more versatility, allowing you to create anything from sourdough bread to pizza dough. 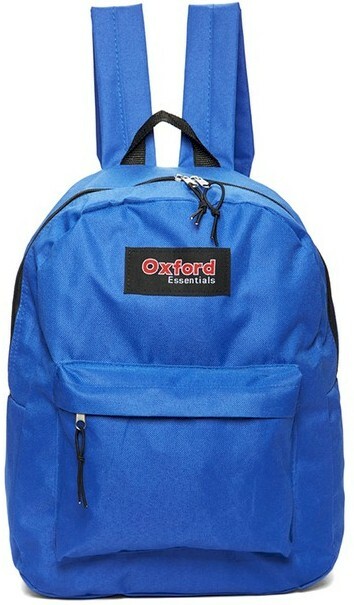 This Oxford Essentials Two Pocket Zipper Backpack is priced at $9.99 at Tanga but enter promo code DAILYCHEAPSKATE at checkout and that price drops by $3.00 to $6.99 with free shipping. 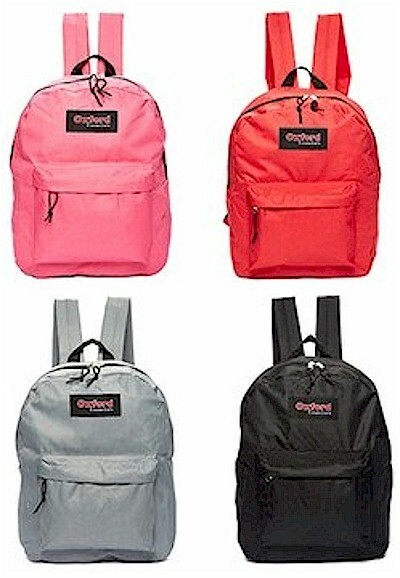 Comes in five colors, black, blue, red, pink, and gray. 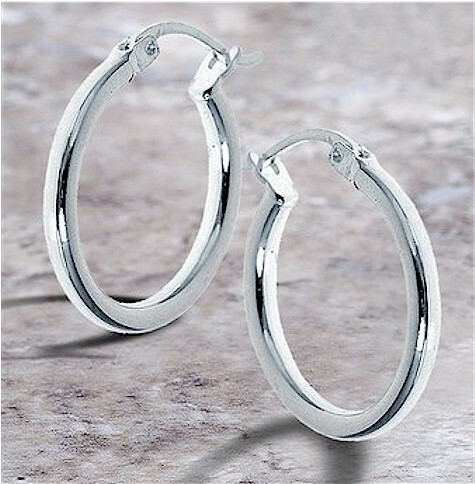 These sterling silver hoop earrings are priced at $12.99 at Tanga but enter promo code DAILYCHEAPSKATE at checkout and that price drops by $5.00 to $7.99 with free shipping. These earrings measure 25 mm (just under an inch) and come with a 30-day warranty. 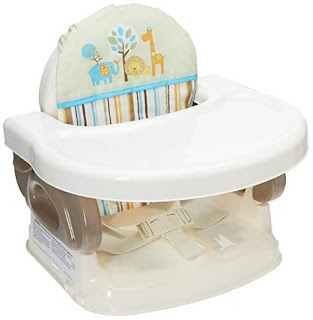 This promo code will also drop the price of the 5-count from $12.99 to $9.99 with free shipping. 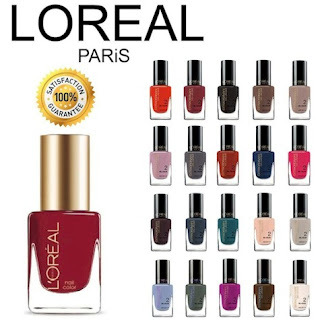 Please note that you will receive a random selection of nail polish colors. Amazon has got this 5-lb. 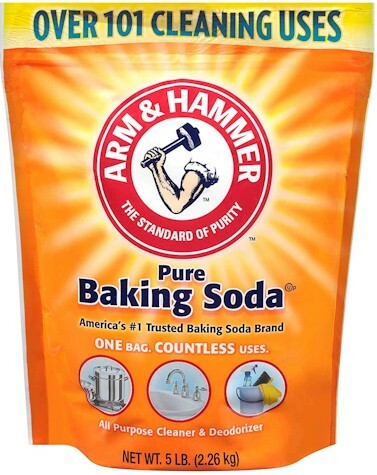 bag of Arm & Hammer Pure Baking Soda for $3.70 (74 cents per lb.). Arm & Hammer Baking Soda is kosher for Passover (OU-P). Please note that Costco usually has a better price per lb. on baking soda, but you need to shlep home a huge 13.5 lb. bag. If you're not into buying and storing bulk, this is still a great price. 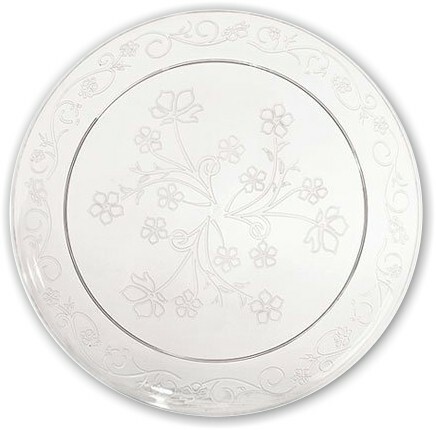 Amazon has got these 20-count 6.25-inch dessert (or appetizer) plastic plates for $3.91, the lowest recorded Amazon price on this item. Fantastic price and no quantity limits. 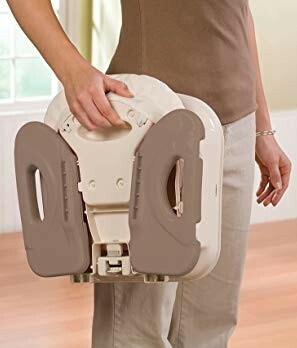 Amazon has got a fantastic price on this super-popular Summer Infant Deluxe Comfort Folding Booster Seat, $16.98 with free Prime shipping. 4.0 out of 5 stars over 3,129 customer reviews. 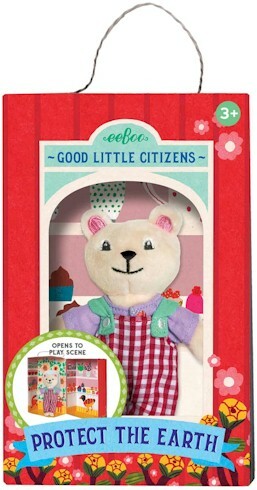 Nordstrom has got the Eeboo Good Little Citizens Polar Bear for $5.98 with free shipping (60% off original price). Description: A friendly polar bear in gingham overalls invites us to 'Protect the Earth' over tea for two. 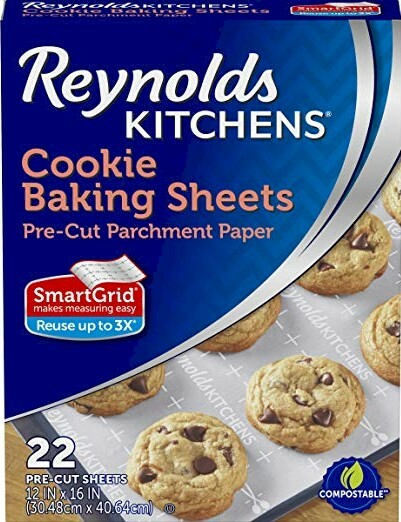 Amazon has got this 22-sheet box of Reynolds Kitchens Cookie Baking Sheets Parchment Paper for as low as $2.23 with Subscribe & Save discounts. 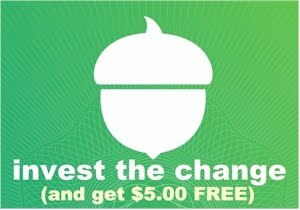 $2.53 - $0.30 coupon = $2.23 with the 15% Subscribe & Save discount (if you can take delivery of 5 or more active subscriptions in one month). 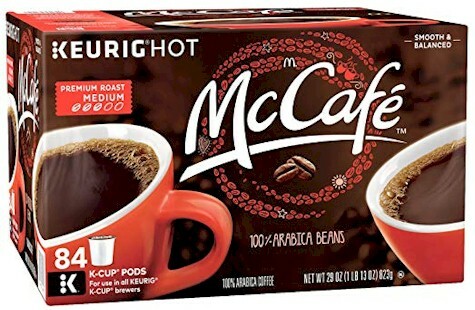 Amazon has this McCafe Premium Roast 84-count k-cups for as low as $23.05 shipped (27 cents per k-cup) with Subscribe & Save discounts. 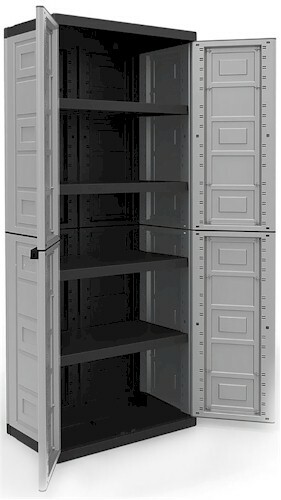 Walmart has got this Contico 4 Shelf Plastic Garage Storage Organizer Cabinet for only $81.99 with free 2-day shipping.